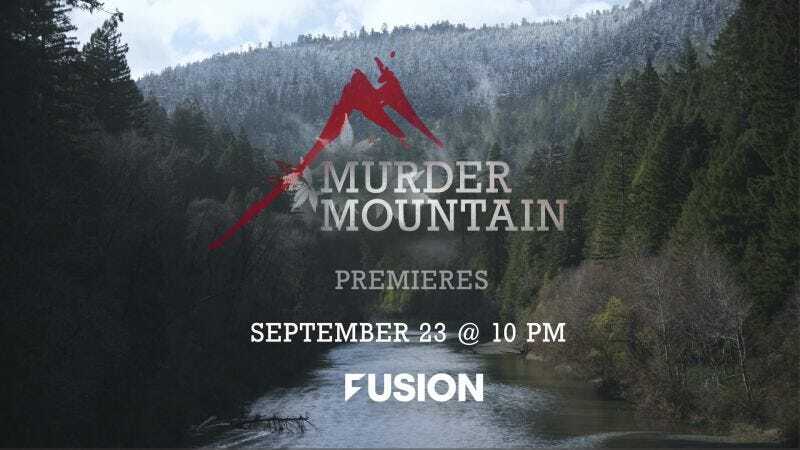 MIAMI, FL – SEPTEMBER 21, 2018 – FUSION TV has announced the premiere date for the gripping new six-part documentary series Murder Mountain, set to air September 23, 2018 on Sundays at 10:00pm ET/9:00pm CT. The hour-long series will take viewers on an investigative look into the death and crime that surround the community of Humboldt County, California, a place of incredible natural beauty and dark secrecy, where marijuana has become the dominant local industry. It’s also a place where dozens of people have gone missing in the last few years, more than any other county in California. Murder Mountain is a Lightbox production Executive Produced by Emmy Award winner Jonathan Chinn and Academy Award winner Simon Chinn and directed by Joshua Zeman. Watch the official trailer for the new series here. Viewers can find out where to watch on FUSION TV here. The series runs for six weeks and will dive deep into one of those missing persons’ stories, following the trail of 29-year-old Garret Rodriguez who went missing on Murder Mountain in 2013. His disappearance, and the events surrounding the investigation into his whereabouts threaten to expose a wild, lawless place, and will forever change the local community. Viewers will get an up close and personal look at a cast of isolationists, outlaws, vigilantes and other characters they won’t soon forget. They’ll also get an exclusive look at Humboldt’s marijuana farms, both legal and illegal, and a glimpse into what it takes for an outlaw farmer to cross over to the legal market. Executive Producers for FUSION TV include Keith Summa, George Lansbury, Daniel Eilemberg, Camila Jimenez Villa and Raphael Rodriguez.